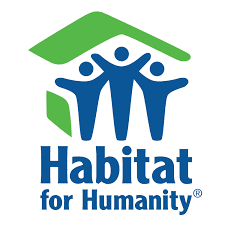 YOUNG HARRIS, Ga. – The local affiliate of Habitat for Humanity has announced it will be holding an orientation meeting to begin the process of selecting a partner family to purchase the next Habitat home which will be built in Towns County. The first step in the search is to ensure everyone who might qualify for a home is aware of the opportunity. An orientation meeting for interested families will be held on Saturday, Jan. 20, 2018, at 10:30 a.m. at the Mountain Region Library located in Young Harris at 698 Miller Street, across the street from the Young Harris College tennis courts. For further directions, contact the library at 706-379-3732. The meeting is free and will last approximately two hours. During the orientation meeting, interested families will view a presentation about Habitat and learn about the requirements for becoming a Habitat homeowner. Applications, along with a list of required documentation, will be distributed during the meeting. Volunteers and partner families build Habitat homes along with contractors, often using donated supplies. Habitat then sells the home to the partner family whom repays Habitat over a 20 to 30-year period with their zero-interest mortgage payments applied toward funding future builds. To qualify for a Habitat home, a family must demonstrate three things: a need, the ability to pay, and a willingness to partner with Habitat. For additional information, contact Habitat for Humanity at 706-379-2484.